Your heart will beat a hundred times a minute throughout your lifetime. High blood pressure makes it work harder still, hastening cardiovascular degeneration and disease. Relax! 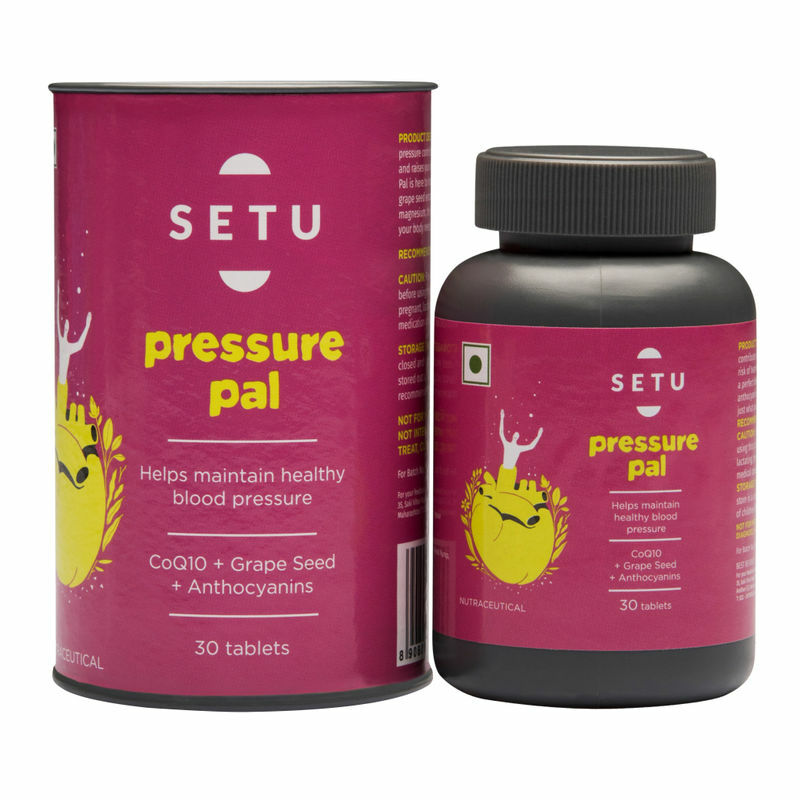 A daily dose of Setu's new-age nature-based Pressure Pal supplement is the healthier way to help keep your hypertension under control. Its perfect blend includes CoQ10, fuel for energy and cellular rejuvenation; grape seed extract and fruit-sourced anthocyanins for their strong vasoactive properties; and miracle magnesium. Together, they provide the synergistic spectrum of antioxidant actions. This potent combination of major nutrients is your key to lower BP. Get down low! Explore the entire range of Coenzyme Q10 available on Nykaa. Shop more Setu products here.You can browse through the complete world of Setu Coenzyme Q10 .